Ramen is a staple for anyone in college, right?! Wrong! While away at college many of my friends and fellow students would eat ramen, this girl… not so much. My roommate would chow down on ramen, and I would indulge in my peanut butter and jelly sandwich, because there was no way I was eating ramen noodles as a meal. Last week while I was at the North American International Auto Show with friends they decided that after the show we would go to Johnny Noodle King. Johnny Noodle King is basically ramen noodles with a grown up price, and if I wasn’t paying 25 cents for ramen in college I sure was not going to pay 14 plus dollars for a grown up version. Another thing to know about me is that I really dislike pasta, so going to a place with noodles wasn’t what I was excited about. 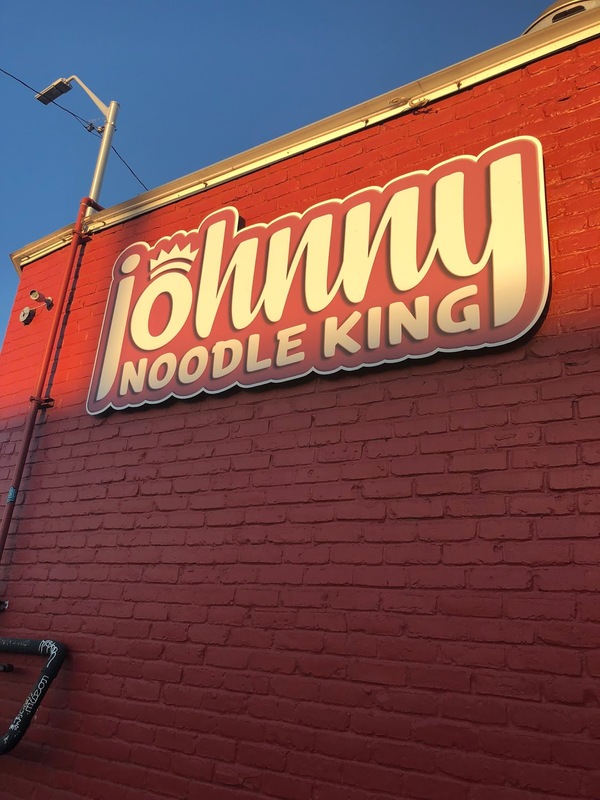 However my goal in 2019 is to try new things and not say no - therefore I went to Johnny Noodle King. 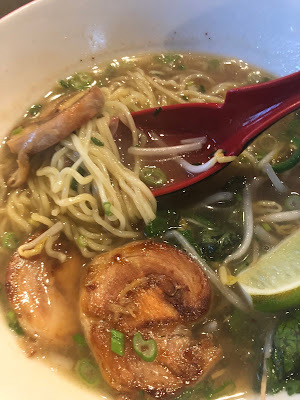 Despite my avoidance of pasta and ramen I ended up giving Johnny Noodle King a try and order the Chicken Pho with Ramen Noodles instead of the Rice Noodles. 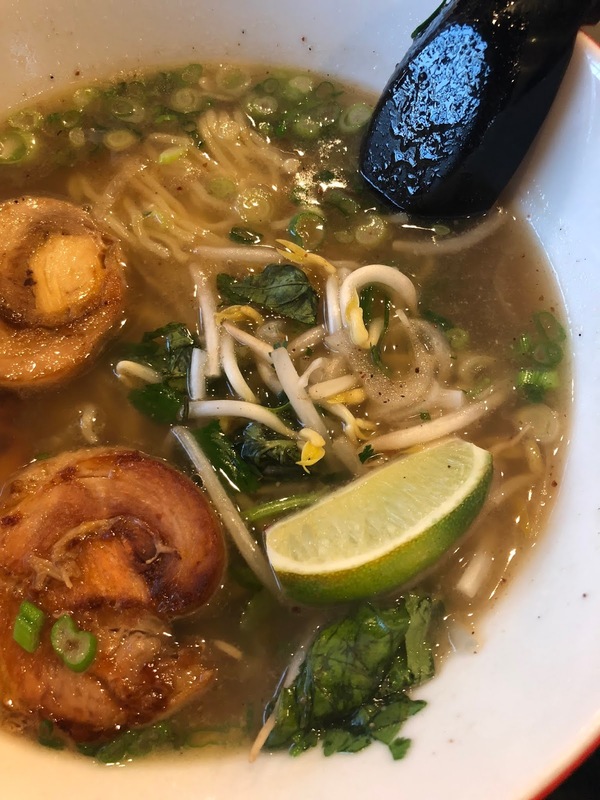 Chicken Pho comes with chashu chicken, scallions, onion, bean sprouts, cilantro, basil leaf, jalapeno, lime, fish sauce and rice noodles (I got ramen noodles instead). I was actually really impressed with the meal. First the amount of food was unreal, it was about three meals for me. Second, the taste was absolutely amazing. Even if you avoid ramen like me, I highly recommend giving the grown up version a try - you definitely will not regret it.